New Documentation Requirements for Household Goods Moves into the United Kingdom – The United Kingdom has pushed forth changes and new regulations for shipping household goods to England, Northern Ireland, Scotland, and Wales. The UK has implemented these changes, even though their exit from the European Union is not complete, thus making the old C3 (Relief) form no longer valid. The consignment consists of all normal, household effects that have been used by the transferee for at least 6 months prior to shipment packing date. 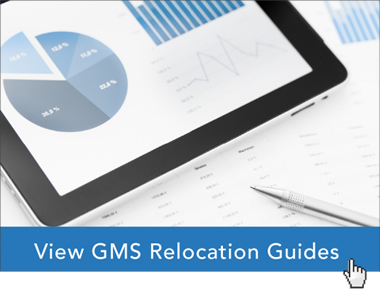 At Global Mobility Solutions (GMS), we strive to get you the latest information to help you relocate your mobile workforce from point A to point B as easily, efficiently, and stress-free as possible. The new rule for shipping household goods to the UK will determine what items are eligible for tax relief. This will affect the final cost of a relocation to the UK and can influence what a transferee may decide to bring along to his or her new assignment. Be aware, applying for the ToR takes a lot of time and goods can’t be imported without the ToR, so plan accordingly by speaking with your relocation management company and household goods providers. To ensure that your relocation policies are up-to-date and take into account the new documentation requirements on household goods for the UK, ask for your complimentary policy review today!